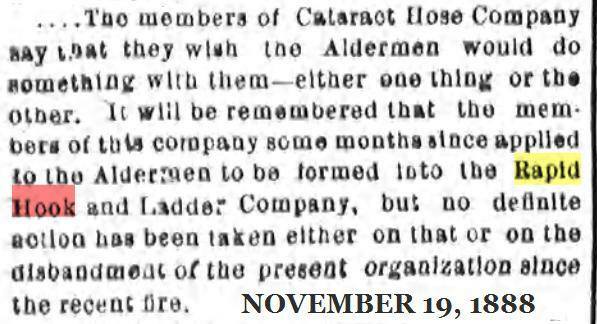 ​The first break into the volunteer system was the disbanding of the three hose companies in 1888 and the formation of a new truck company known as Rapid Hook & Ladder No. 3, which was located in the rebuilt (after a fire) previous quarters of Cataract Hose No. 2 at Godwin Ave and Auburn Street. 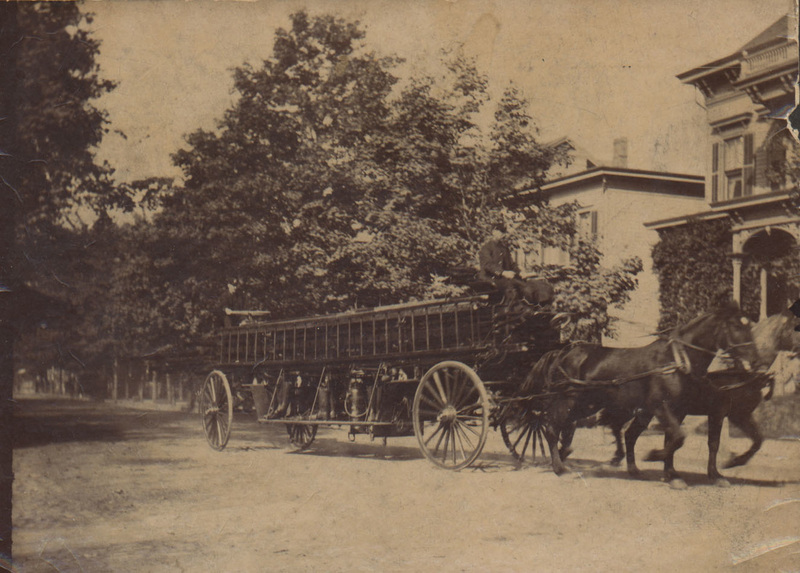 Mr. Nathaniel Quackenbush and one other were the originators of the idea of having a truck company to succeed Cataract Hose Co., whose house and apparatus were burned on the night of November 9, 1888. Mr Quackenbush was elected secretary of that company (which was known as Rapid H. & L. Co. No. 3) when it was organized, and held that office until he was appointed a call man of Truck No. 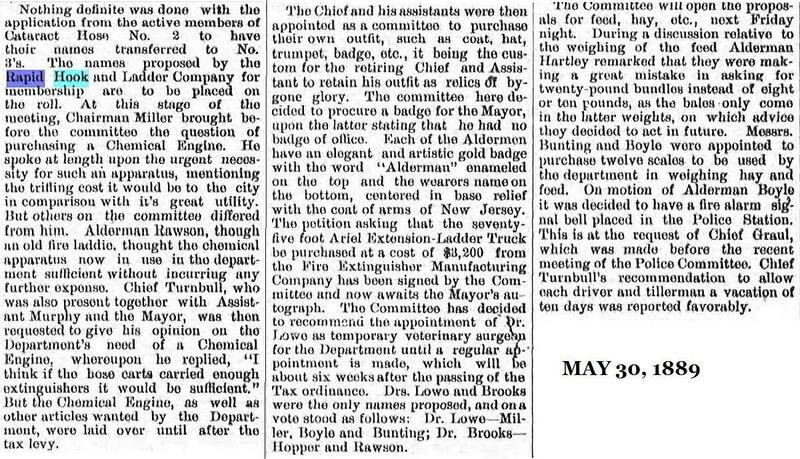 3 when the department was changed to a paid system in March of 1890. ​Rapid 3 used the apparatus previously operated by Eagle Hook and Ladder No. 1 which was built by E. Y. Leverich in 1881. It carried one 65-foot extension, one 38-foot, one 30-foot, one 26-foot, two 24-foot, one 18-foot, one 12-foot roof ladder ; two 5-gallon extinguishers, poles, hooks, ropes, etc.